Curiosity leads to discoveries by investigating what exists and what works. Students learn that a single piece of information isn’t useful on its own, so they must connect their discoveries with meaningful insights and innovative solutions. These steps lead to creating value by anticipating and meeting society’s needs. “It highlights the need to think about the customer experience when designing the solution to a problem,” Meuth said. In May 2018, the Kern Family Foundation grant was renewed for another two-year period. This extension allows ASU’s KEEN project to implement its Phase 3 goals: more broadly implementing and institutionalizing the entrepreneurial mindset among faculty members to reach more students, and sharing the ASU team’s findings with other KEEN network universities across the country. “It’s a very EM way of approaching how we can help mentor faculty,” Reitmeier said. “It’s the mentorship interaction and opportunity to collaborate (with the KEEN network) that communicates the true purpose, potential benefit and need for developing the entrepreneurial mindset in our students,” Meuth said. García chose ASU because he saw that the School of Earth and Space Exploration was at the forefront of geoscience research and education. During his time at ASU, García was involved in numerous clubs and activities that enhanced his experience. He participated in the International Students Committee for the Graduate and Professional Student Association, the School of Earth and Space Exploration Graduate Student Committee, as well as in the ASU chapter of the Society for the Advancement of Chicanos/Hispanics and Native Americans in Science. 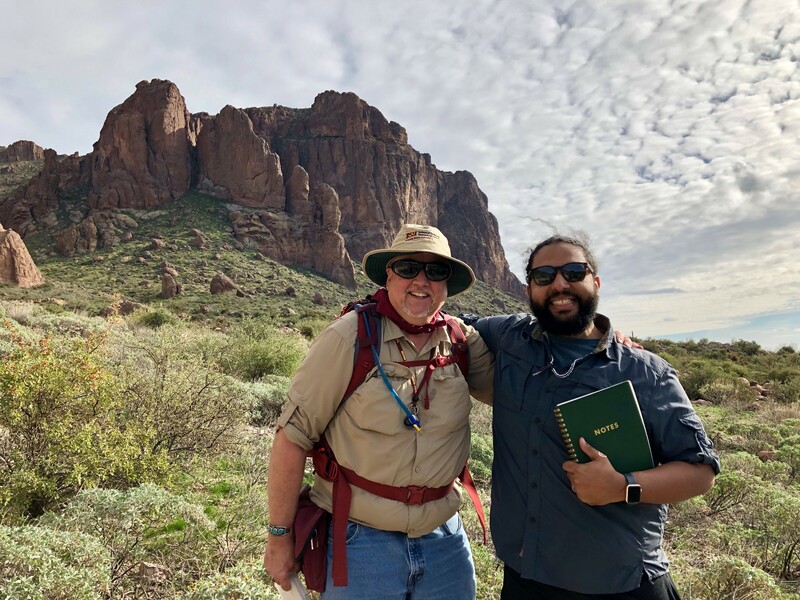 When asked about his favorite professors and mentors, García said that geological sciences professor Steven Semken was both a mentor and an adviser who helped enrich his experience at ASU. García’s advice to students beginning their freshman year at the School of Earth and Space Exploration is to keep their eyes open, be ready to listen and to interact with many professors as possible. When asked what he likes about his current job, he said it is giving him the opportunity to keep developing his research in ethnogeology and multicultural education, as well to explore deeper research interests in the discipline of karst geology (sinkholes and caves). García’s plans for the future are to continue his research in ethnogeology and the geology of caves, and to work with students. He is also looking for a permanent faculty position where he can grow professionally.